Merry Christmas and a happy New Year! It's always good to hear from you. I spend most my time on Facebook now because the local doll group can communicate easier there. 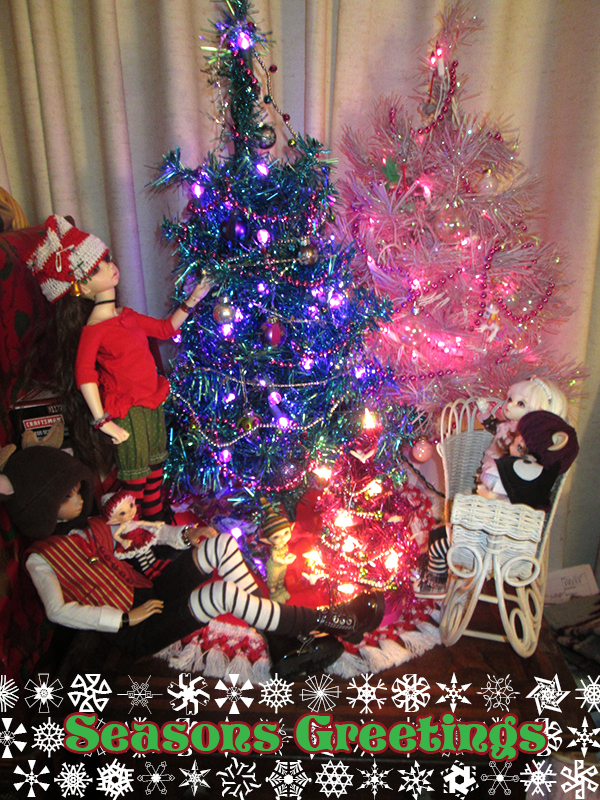 I will be backdating a bunch of photos posted on my FB bjd page during my holiday break so you will see more activity. Let me know if you have a FB account and we can friend each other! Sorry, I don't have a FB account. But I'm glad you will be sharing some of your FB posts here. I'll give you a poke when I have a more firm landing date. You are going to have so much dolly and other kinds of fun here! I know Mel and Logan will be happy to have more family close, too!